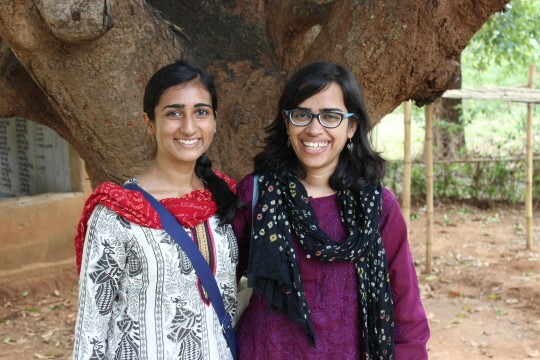 Uttara “Tara” Gadde (left) is a TCi Intern researching the health and socioeconomic impacts of a clean water project implemented by AguaClara in rural Jharkhand. She is teamed up with TCi Scholar and Ph.D. student Shiuli Vanaja (right). After working in the tribal villages of Ronhe and Gopla in the Khunti district, we are now in a new district called Koderma. Koderma is in the north of Jharkhand, bordering the state of Bihar. We are continuing our work to determine the impact of AguaClara’s water purification system based on economic and health indicators. In Koderma, we first worked in the treatment village of Johlakarma, a small village consisting of only 52 households. All houses were receiving the piped water connection. The sample population is very different from that in the Khunti district. There are no tribal populations here, and there is a large Muslim presence (representing about half of the households, while Hindus represent the other half). I was very surprised to find the seamless integration between the two religious populations in the society. There were some distinctions, such as a “Hindu water pump” and a “Muslim water pump,” but overall, it was difficult to tell the two groups apart. They coexisted and interacted to represent a very mixed batch in a very small geographical space. A group of teenage girls in Johlakarma. Another interesting difference between the Khunti and Koderma districts is the change in landscape. In the Khunti district, the village was surrounded by a jungle. 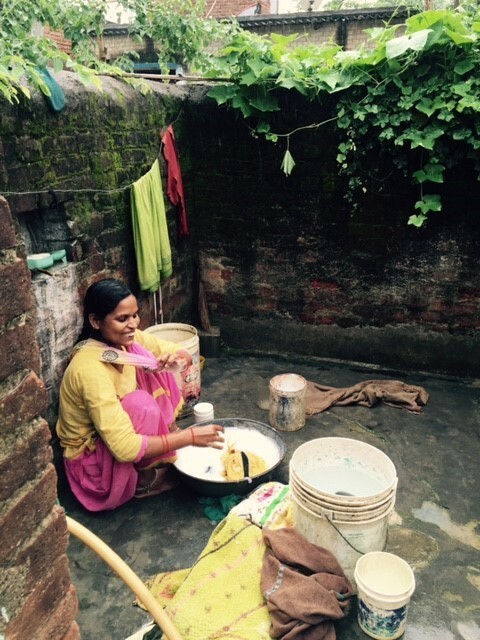 This offers some form of shelter for women who did not have access to the piped water to bathe. However, the flat lands and lack of brush in Koderma did not offer this form of natural security. The women spoke about how the piped water connection, which allowed them to bathe in the privacy of their own homes, restored a sense of dignity to their lives. I was happy and surprised to learn about this added benefit of the tap water, and realized how easy it is to take privacy for granted. In addition to the social benefits of the water system, we are finding marked differences in incidences of water-borne diseases between Johlakarma and the control village in Koderma, called Baradi. Water-borne diseases are a serious problem in all of Jharkhand. In one study conducted by Christian Medical College Vellore, 500 patients from villages in Jharkhand were evaluated. Water-borne diseases including acute gastroenteritis accounted for 15.8% of all diagnoses, making them the second most common ailment among all patients evaluated. Approximately 78,000 cases of acute diarrhea and 24,000 cases of typhoid were reported in 2013. None of the households in Baradi have access to the piped water, and we have seen very high incidences of malaria, typhoid, skin lesions, and gastrointestinal problems in this area when compared to Johlakarma. 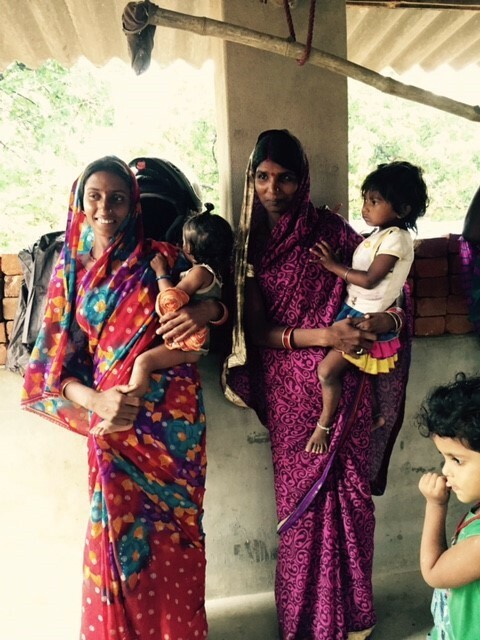 Young mothers with their children in Baradi. The women in Baradi seem to regard water-borne diseases as a part of life, an unfortunate but unsurprising occurrence. However, they seemed to have an awareness of the link between impure water and disease. They talked about how the foul odor and appearance of the water indicated that they were drinking from a poor quality supply. Though I was disheartened to hear about the high incidence of disease, it was definitely a good sign that the women were able to link disease with water consumption. As we continue to collect data, I am excited to see the visible differences between the control and treatment villages in both Khunti and Koderma in terms of women’s empowerment and prevalence of water-borne disease—an indication that AguaClara’s technology is making a tangible impact to improve the quality of life in this region!